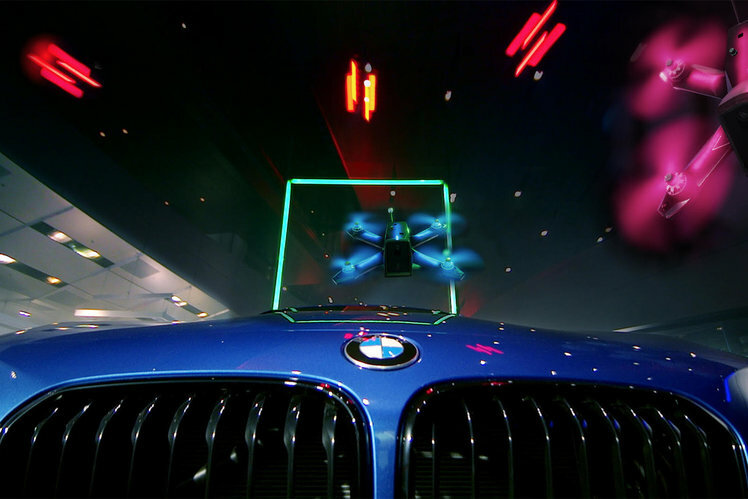 German car manufacturer BMW has agreed a partnership with the Drone Racing League (DRL) that will see the two work together to produce the fastest racing drone ever. BMW will also host one of this year’s races at BMW Welt, the company’s multi-use exhibition centre in Munich, Germany. The DRL will get full use of BMW’s wind tunnel at the Aerodynamic Test Center, where it hopes to build a new drone capable of beating the current Guinness World Record set by the fastest ground speed by a battery-powered remote-controlled quadcopter. The DRL already holds this record with the DRL RacerX achieving a speed of 165.2 mph. The RacerX actually flew at 179mph, but Guinness takes the average flight speed. The Drone Racing League is still in its infancy, with the first season taking off in 2016, but it has already become an incredibly popular spectator sport, being broadcast on ESPN, Sky Sports and ProSiebenSat 1 in Germany. All drone pilots use the same DRL Racer 3 drone, so all races are fair and it’s the pilot’s skill level that’s put to the test. This year, BMW will host the penultimate race at the BMW Welt exhibition centre on 28 July before the winner is decided at the final, which this year takes place in Saudi Arabia.